The engraved silver plated Patriot Cup is 24cm high, but for an additional cost, is available in two larger sizes, 29.5cm and 35.5cm. There is a silver band on the base of the cup, and the base is bakelite. 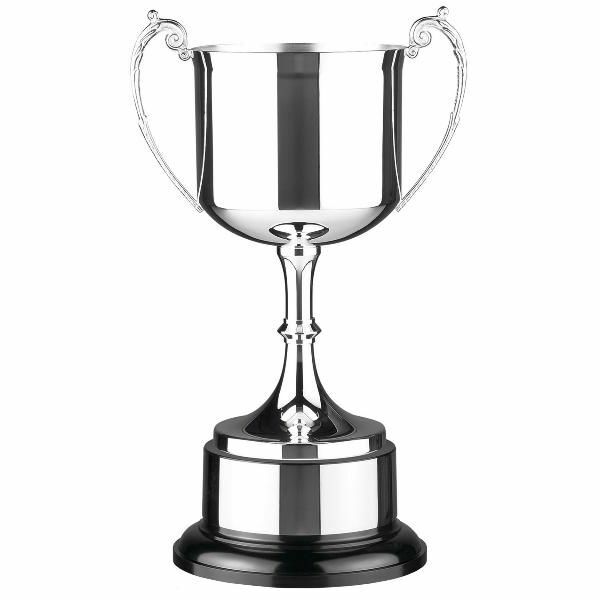 Engraving of up to 20 characters on the cup and 30 characters on the base is included in the price of the silver plated cup, although additional letters may be engraved. These cups are also available on a rosewood base instead of a bakelite base, and are slightly cheaper as the plinth band is integrated. The engraved silver plated Patriot Cup is postage band B.